The majority of software sales leaders would surely agree that the most powerful and effective way they can make their quarterly targets is by coaching their team on specific deals. Naturally, it takes time, and there are of course endless demands on you, but, done well, tailored deal coaching is the one single activity that can help leaders to deliver outstanding results. Closing any deal creates good feeling among the workforce. And closing large deals that make or exceed the quarterly target not only sends a powerful and motivational message to your team, but also the wider company that you are at the top of your game, which can in turn lead to positive sentiment flowing through the entire organisation. It even boosts your ability to attract new hires as high performers love to join a successful team that is ahead of the competition. However, deal coaching is best done face-to-face and with teams often spread across large area or several countries, it is a very big time overhead for any leader. Even using collaborative technology such as video conferencing is time-intensive. When asked what can go wrong with any plan, Winston Churchill once answered, “events, events,” meaning that even the best laid plans often only survive the first phase before something unexpected happens, and progress gets stuck. In this situation, the sales leader is in another country – often dealing with other issues – and the team won’t want to give them the bad news on a deal stalling, meaning that all invested time & effort is now at risk. This technique allows sales professionals to identify key vulnerabilities before a deal has nced. They’re different to risk analyses and instead of quantifying the likelihood of an agreement collapsing, the pre-mortem assumes failure and then tries to discover why it might have happened. It’s been shown that people are more likely to identify real potential issues if asked to visualise why a deal may fail. 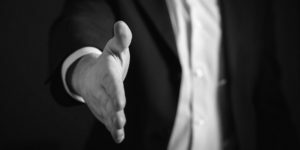 Crucially, the leader needs to ensure this doesn’t turn into a negative session, but instead, that it becomes a powerful technique to raise the chance of a deal being closed. Adopting this approach should lead to advanced risk detection, with built in contingency solutions ready. The full breakdown of this approach appeared in an edition of the Harvard Business Review, however essentially it suggests that, during a deal coaching session, you should ask your team to identify their ideal, chosen outcomes, and ask them to develop a contingency in case this doesn’t occur. It’s rather appropriately labelled ‘if then management’, as in, if x does not happen by y then what will you do. By developing this approach it means that when ‘events’ take hold on key deals, then your team is pre-programmed, crucially, with their own ideas, to take new actions and in so doing so reduce the likelihood of a deal getting stuck without your continual involvement. By putting these approaches in place, it’s possible for a leader to ‘virtually’ be in several places at the same time, which can be critical when it quarter end approaches and you wish to have an impact on the progress of key deals.